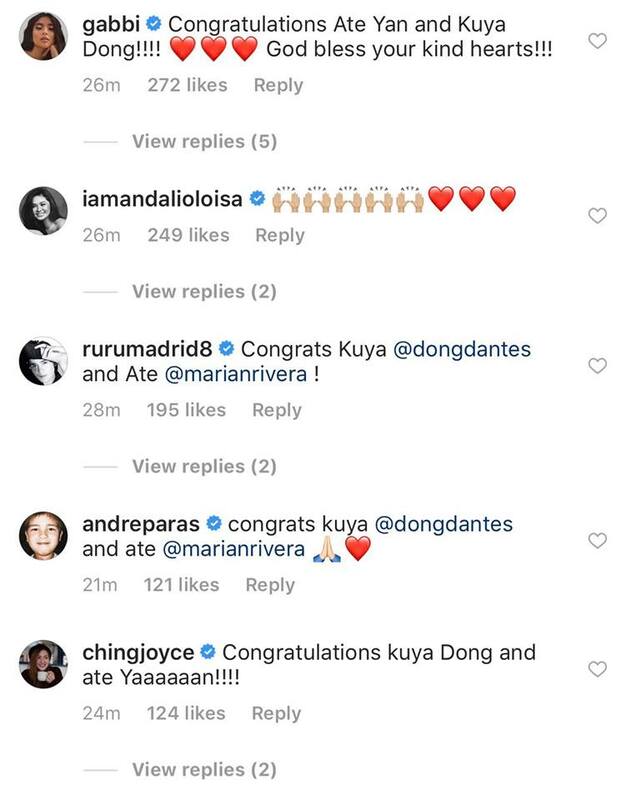 Dingdong Dantes announced on Instagram that Marian Rivera has given birth to their baby boy, Jose Sixto G. Dantes IV, early today, April 16. Marian Rivera has finally given birth to her second child with husband Dingdong Dantes early today, April 16. Dingdong shared the good news on his Instagram account, and wrote, ""Yahoo! After around 10 hours of labor, Marian finally gave birth to our baby boy at 1:35pm today. 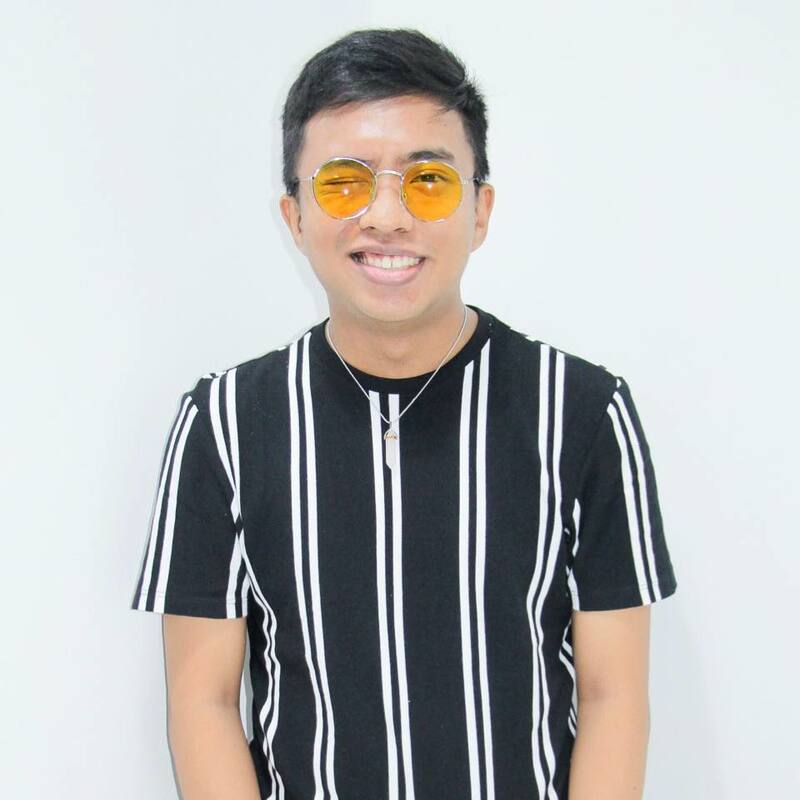 [smiley emoji]"
Based on the photo, Marian gave birth at the Makati Medical Center. In the caption, Dingdong also revealed the name they picked for their baby boy. He wrote, "Thank you very much for praying with us. [thank you emoji] Welcome to the world, Jose Sixto G. Dantes IV!" 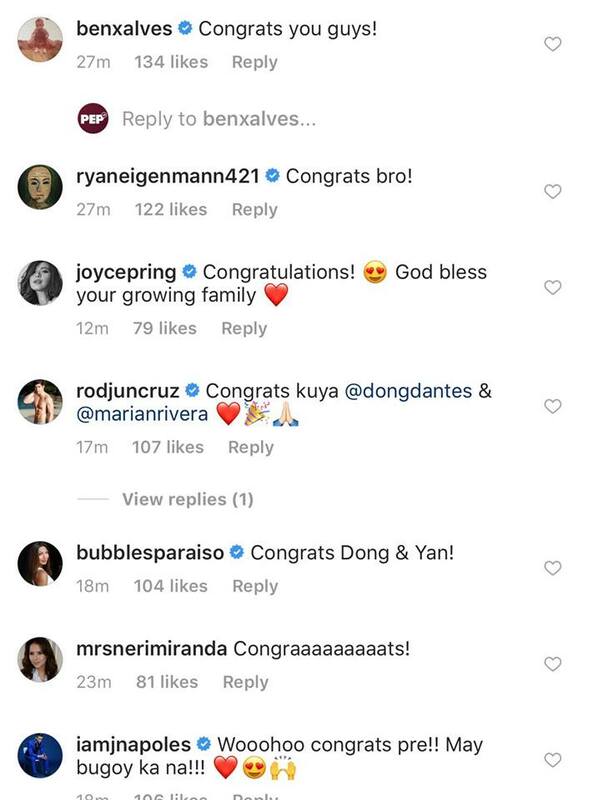 Celebrities including Gabbi Garcia, Loisa Andalio, Ruru Madrid, Andre Paras, Joyce Ching, Ryan Eigenmann, Bubbles Paraiso, Neri Naig, Jerald Napoles, Derek Ramsey, Kris Lawrence, and John Estrada left congratulatory messages in the comments section of Dingdong's post. 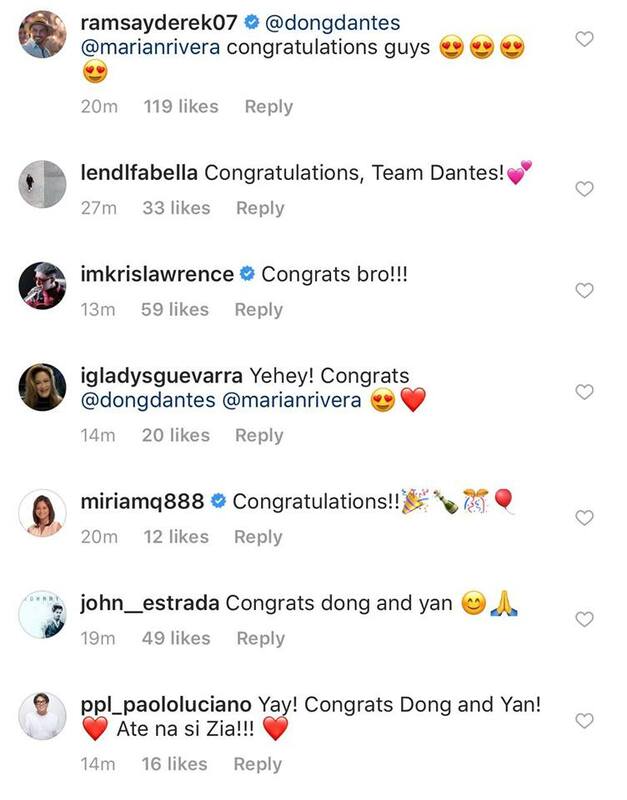 Marian and Dingdong first confirmed through an Instagram post last September 25, 2018, that they were expecting another baby. 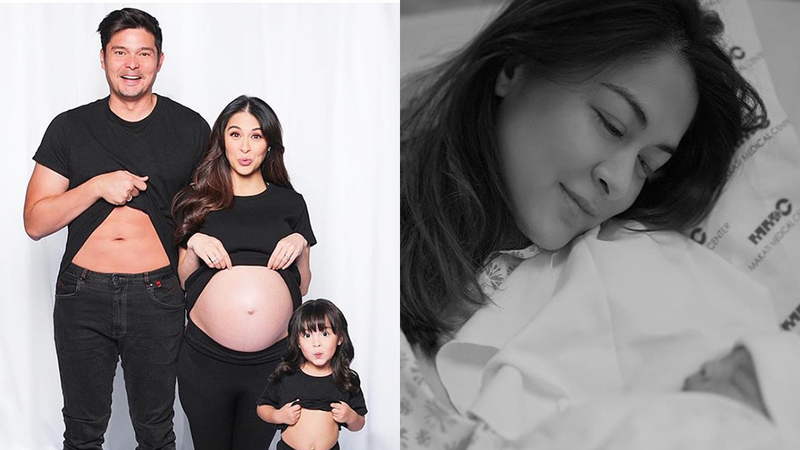 On November 25, 2018, the couple revealed the baby's gender through a vlog post on their official YouTube channel The Dantes Squad. Marian and Dingdong's firstborn, Zia, turned three years old last November 23.